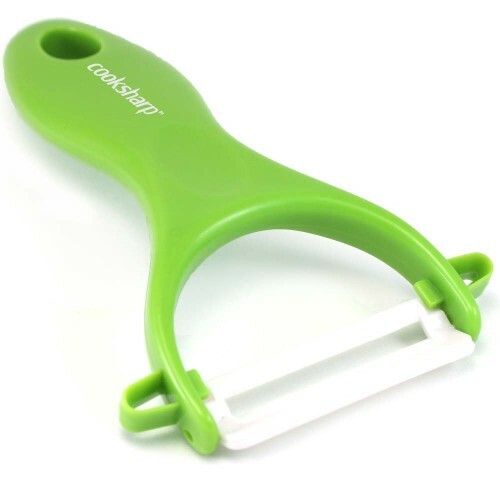 You cannot add "Ceramic Peeler for Potatoes, Apples, and Vegetables by Cooksharp" to the cart because the product is out of stock. 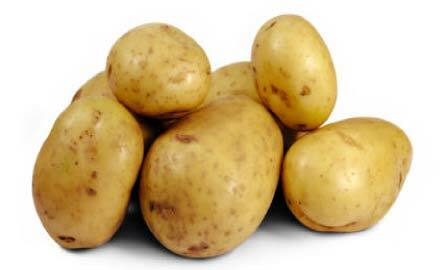 Wouldn’t you love to making peeling potatoes, apples or any kind of vegetable less of a chore? You see, old metal peelers get dull fast which means you’re working harder in the kitchen than you need to. 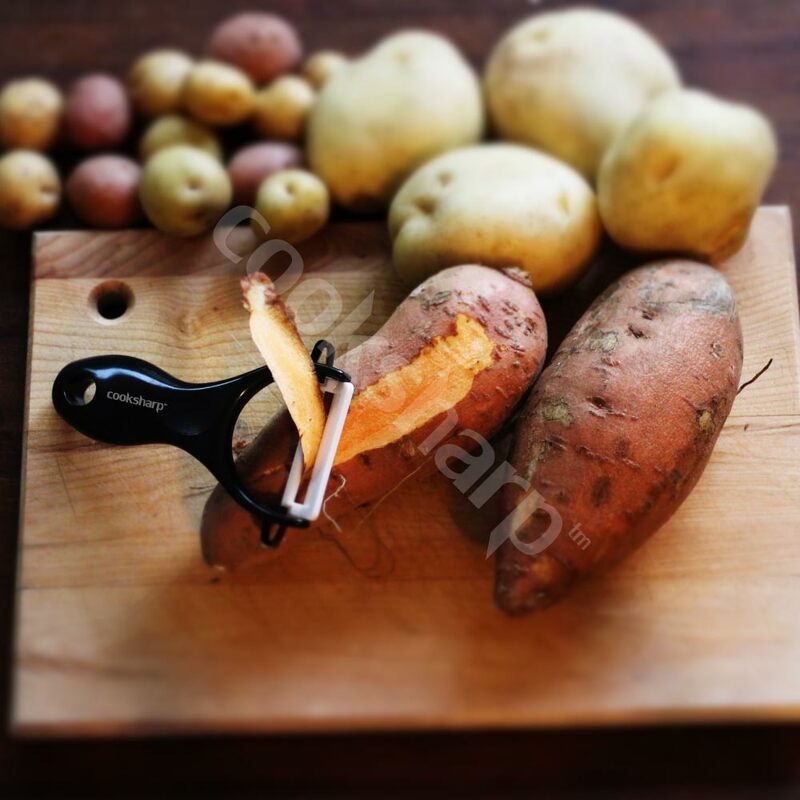 A ceramic peeler may be the last peeler you ever buy since it stays sharp, never oxidizes or rusts and comes with a 10 year warranty! 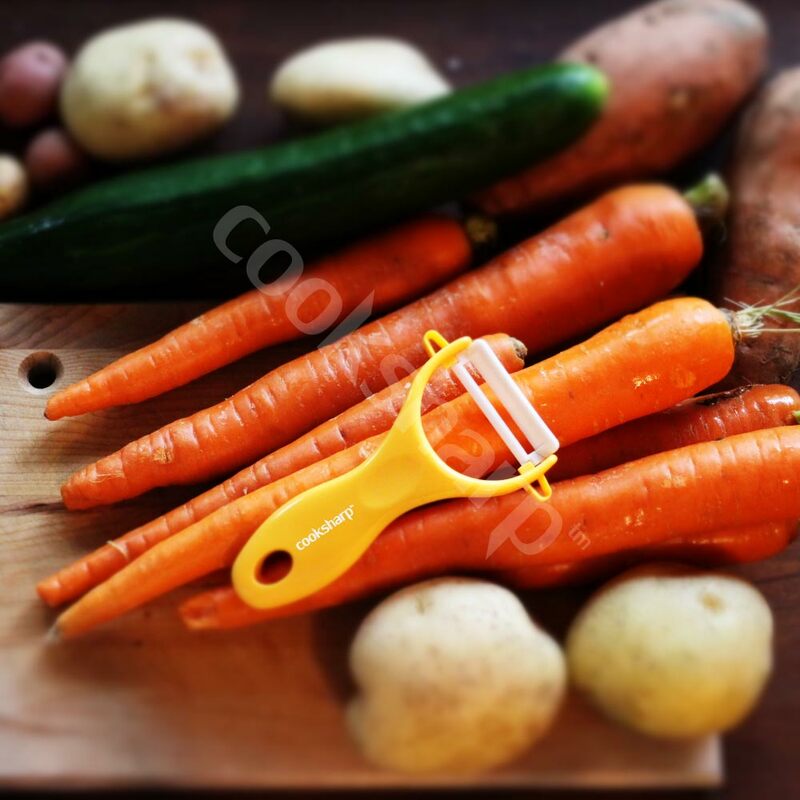 Have a happier kitchen and get your ceramic peeler today! SKU: N/A. 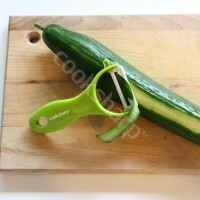 Category: Cool Kitchen Gadgets. 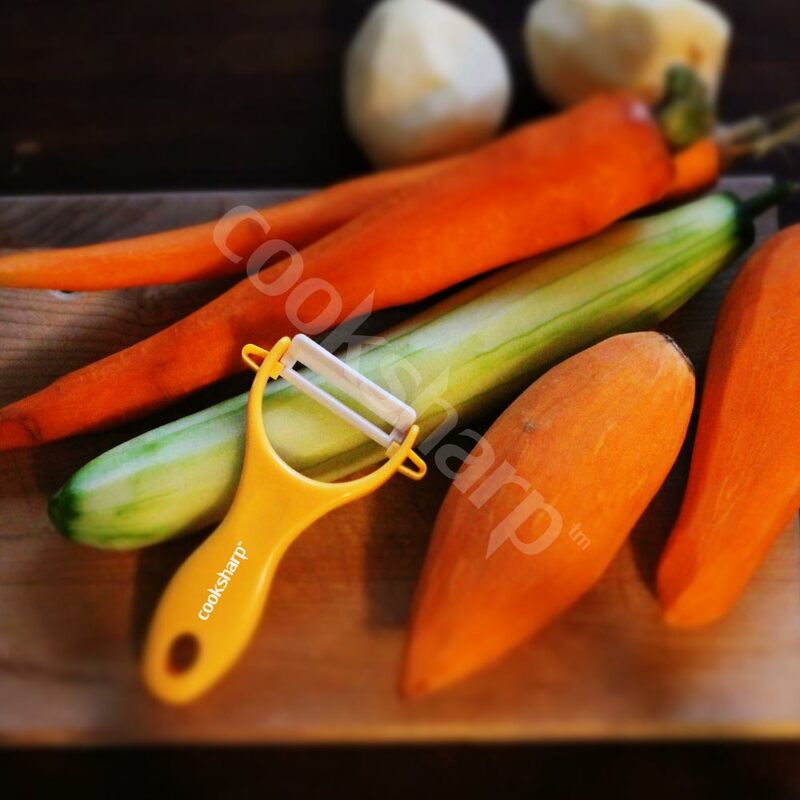 Are you eating vegetables from an old peeler that looks like this? You see, one of the problems with any sort of metal peeler is that over time it will oxidize and rust. Not very appetizing is it? In fact, if you looked in your utensil drawer right now, you might be shocked at just what you might find! You definitely don’t want to be ingesting any rust or oxidation micro particles, do you? Another pain is that your old metal peeler is probably already dull by now. Peeling any sort of vegetable with a dull peeler just means more work for you in the kitchen. 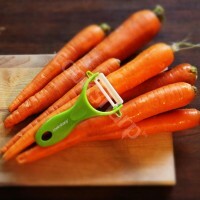 Over time, you have to keep working harder until you get fed enough and just buy a new peeler. 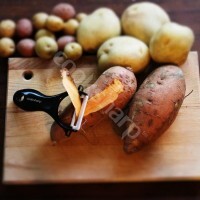 Well, The ceramic peeler by cooksharp may just be the last peeler you ever need to buy! 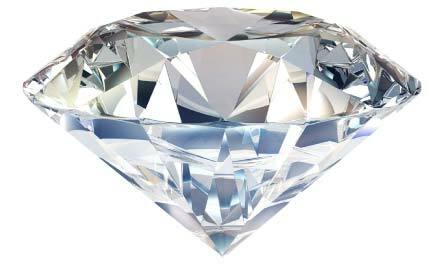 Ceramic (like diamond) is one of nature’s hardest materials and is naturally resistant to bacteria. Your food also won’t spoil as fast or taste metallically since there’s no transfer of metal ions. And of course, your ceramic peeler will never rust or oxidize so you won’t be ingesting any nasty micro particles. Not just for potatoes, but apples, carrots and other vegetables too! Your hands will also thank you for the ergonomic handle and light weight design. Your vegetables will stay fresher for longer since there is no chance of any metal ions transferring over to your food. 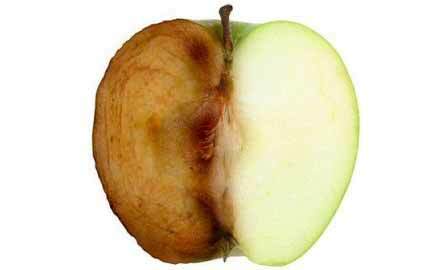 Your apples, for example, won’t brown as fast since there are no metal ions speeding up the process. Not only will your food stay fresher, there will be no metallic taste. Ceramic is one of the earth’s hardest materials available. In fact, it’s harder then steel and just under the hardness of diamond! This means, you may never need to replace your ceramic peeler ever again. 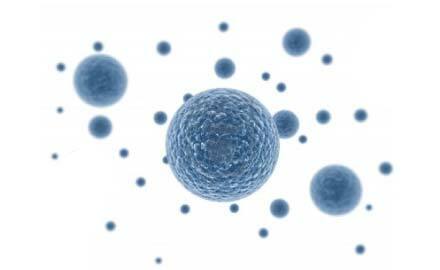 Ceramic is naturally resistant to bacteria and is simple to clean. You don’t need to use your dishwater, you can clean the blade with soap and give it a rinse with water. What else do I need to know before I get my own ceramic peeler? 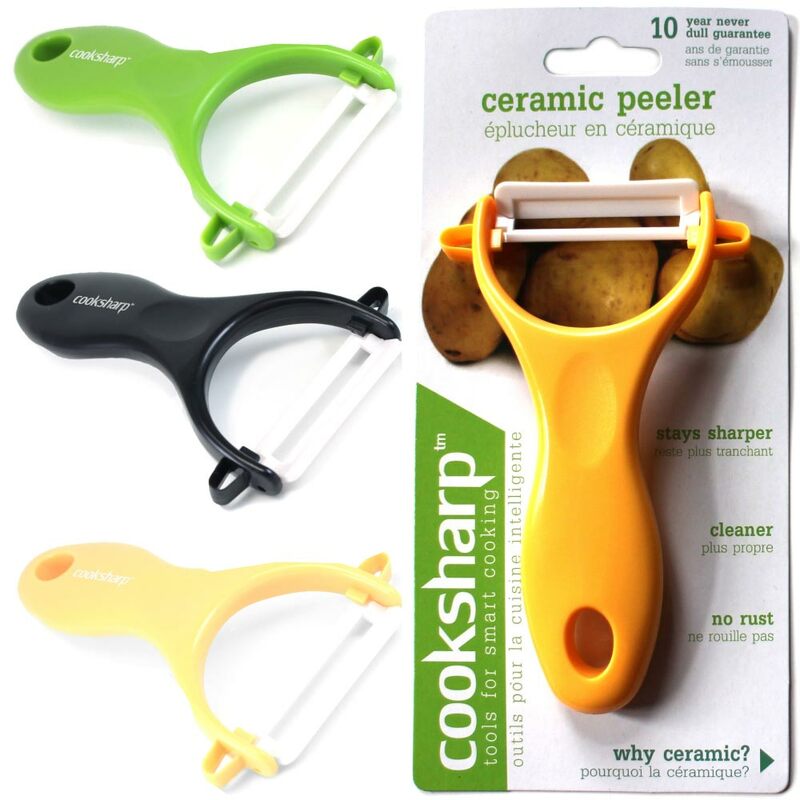 You will also receive a full 10 year warranty at no additional charge when you buy your cooksharp ceramic peeler. That means, if the blade ever becomes dull in a full 10 years, you can contact us and we will send you a replacement. When we say ceramic stays sharper than any other peeler you will ever own, we mean it!